Huawei just announced the Honor V10 and we're already seeing glimpses of its upcoming projects. 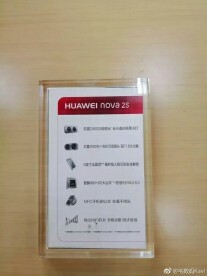 The latest leak comes brings us images and specs of the Huawei nova 2S. The phone looks similar to the Huawei Mate 10 Lite and might end up to be a new name for the previously rumored Huawei nova 3. 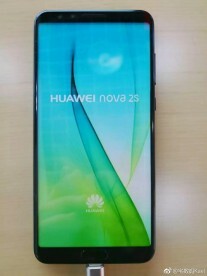 The Huawei nova 2S has a 6-inch 18:9 screen with FHD+ resolution, a 20MP+16MP dual camera on the back, a dual 20MP camera on the front and a 2016-flagship grade Kirin 960 chipset with 6GB of RAM. The software on board is Android 8.0 Oreo with EMUI 8.0. All that remains is the announcement date. If the Huawei nova 2S and the nova 3 are the same phone, then rumors point to a December reveal. is this gonna be the international version of the honor v10 that released last tuesday? cause it looks very simiilar. Howaei - never again! It's cheap, they offer low performance, low quality hardware on all their phones. Their stuff should not cost more than $150-$200 as it can't match other devices in the same price range. 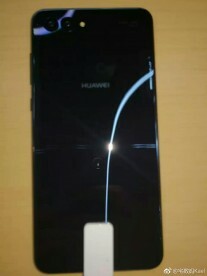 Looks like most of us like fingerprint on the back lol..